Hair tired, dull and devitalized. PROPERTIES: Highly bracing due to quinine contained in known and constant quantity, stimulates the activity of the hair bulb derectamente to revitalize hair from the root. This extract is associated with an original complex of B vitamins (B5, B6, B8) known to stimulate hair growth and strengthen its structure. 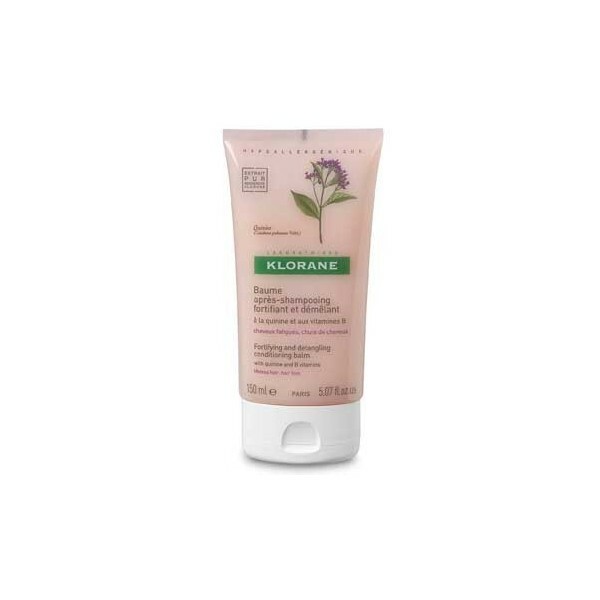 Strengthens and revitalizing, this balm Klorane accentuates and prolongs the effect of the shampoo. Used regularly, the two products that invigorate the hair returns to find strength, vigor and brightness: left glowing health and beauty. Instructions for use: Rinse the hair after shampooing and drained. 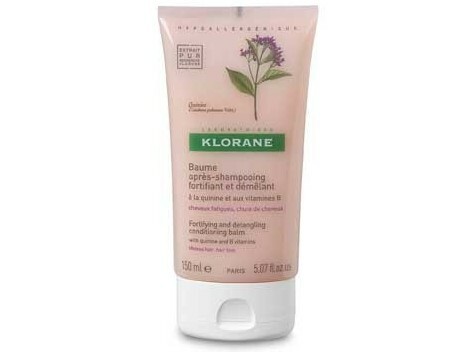 Apply throughout the hair to the tips. Leave on for 3 to 5 minutes. Rinse with water abubdante. Avoid contact with eyes.